It is without a doubt that you will have no trouble finding the perfect home if you have an all-cash offer up your sleeves. Even home sellers will be planning sweet deals to offer you if you pass by their homes as this usually means that you have the cash to seal the deal and purchase their homes. Typically, all-cash home buyers have close to all the advantages over the home buyers with mortgages simply because the there is usually no guarantee that the home buyers with mortgages will get you the balance. A lot of obstacles can end up getting in the way and even interfere with regular monthly mortgage payments. The best thing about an all-cash home buyer is that all these doubts and inconveniences are squashed; it is similar to a no-strings-attached deal. All-cash deals are usually quite common; it’s not only seen among the super-rich within the community nowadays. When you dig a little deeper, you will notice that a good portion of this 29% is not among the wealthy. But you need to keep in mind that an all-cash move is not always the best move for every occasion. This article will help you determine whether you should go for an all-cash deal or opt for a mortgage route instead. Should you go for an all-cash sale? Here is one simple fact to everyone reading this. Just because you have the cash and know you can afford to purchase the property doesn’t mean that it is always the best way to go. Making an all-cash deal comes with its merits as well as demerits that you need to peek into before you stash a significant amount of your cash into that brand new expensive home. 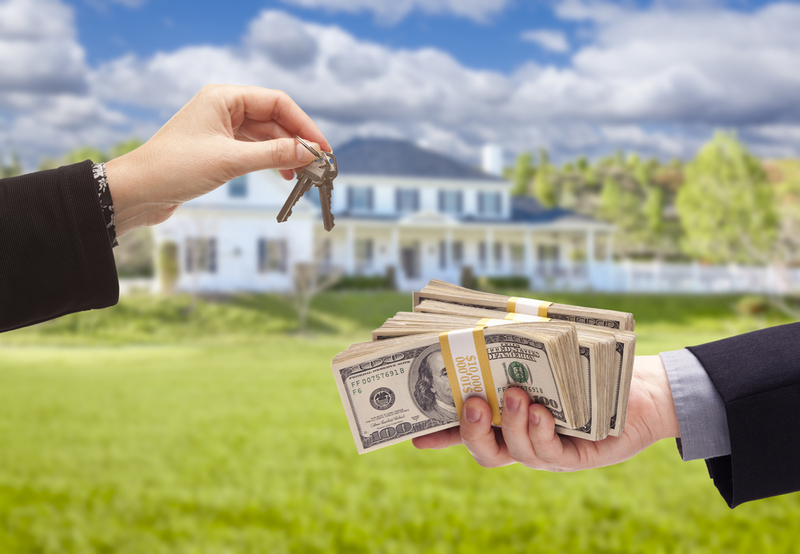 Tough sales markets – You may want to make an all-cash offer when you realize that a bidding war is going on for that new home or condo that you want to buy. An all-cash offer will help you cut through the competition like a knife through butter. Strong negotiation stance – An all-cash offer will also give you an added advantage over the negotiation stance for the home that you plan to purchase. You will be able to force the home sellers to drop from their initial asking price to an amount that can suit you. All-cash offers will also make the whole process of purchasing and acquiring a new home faster compared to applying for a mortgage. This deal comes with less paperwork and almost no delays at all. You will put a lot of money into one asset when you can diversify and use it in other things. Your liquidity can also be drastically limited if you go for an all-cash deal. You will also miss out on significant tax deductions like a tax break, which homeowners with mortgages get. You may even stand a chance of investing your money better elsewhere, maybe a business. Do you have a question about all-cash offers? Click here to contact the experts at Stacy and Nicole today!